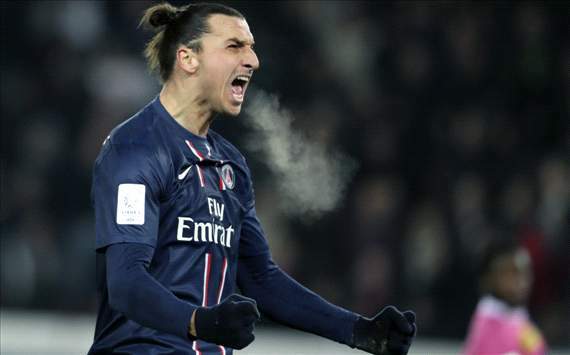 Zlatan Ibrahimovic has voiced his opinion that it would be great for Paris Saint-Germain to secure the services of Real Madrid’s Jose Mourinho and Cristiano Ronaldo, but has insisted that signing the duo is a dream for now. The Portuguese pair have both been linked with a move to the Ligue 1 giants amid ongoing speculation that they could leave the Santiago Bernabeu, but the Swede remains coy on the subject at this point. “It would be great news for any team to sign Mourinho and Ronaldo. Mourinho is a great coach, one of the best in the world, while Ronaldo is among the best players,” the Sweden star told Marca. “However, fact is that it’s just speculation at this point, and not the reality. Ronaldo has a contract with Madrid until June 2015, while Mourinho’s deal with los Blancos runs until the summer of 2016.